Shiv Kumar Batalvi was a Punjabi language poet, who was most known for his romantic poetry, noted for its heightened passion, pathos, separation and lover’s agony. He became the youngest recipient of the Sahitya Akademi Award in 1967, given by Sahitya Akademi(India’s National Academy of Letters), for his epic verse play based on the ancient legend of Puran Bhagat, Loona (1965),now considered a masterpiece in modern Punjabi literature, and which also created a new genre, of modern Punjabi kissa. 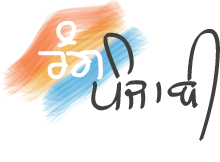 Today, his poetry stands in equal footing, amongst that by stalwarts of modern Punjabi poetry, like Mohan Singh (poet)and Amrita Pritam, all of whom are popular on both sides of India-Pakistan border. 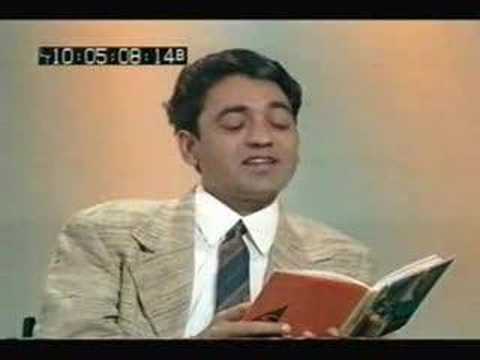 Shiv Kumar was born in a Saraswat Brahmin family on 23 July 1936 (though a few documents related to him state October 8 , 1937 as his DOB), in village Bara Pind Lohtian, Shakargarh Tehsil, Sialkot District (now in Punjab province, Pakistan), to Pandit Krishan Gopal, village tehsildar in the revenue department, and Shanti Devi, a housewife. In 1947, when he was just 11, his family moved to Batala Gurdaspur district after partition of India, where his father continued his work as a patwari and young Shiv received his primary education. Allegedly, he was a dreamy child, often vanishing for the duration of the day, to be found lying under trees by the riverbank close to the Mandir or Hindu temple outside the village, lost in a brown reverie. He appears to have been fascinated by local renditions of the Hindu Epic Ramayana, as well as wandering Minstrel singers, Snake Charmers & the like – which feature as metaphors in his poetry, giving it a uniquely rural flavor. He completed his matriculation in 1953, from Punjab University, and enrolled in the F.Sc. program at Baring Union Christian College, Batala, though before completing his degree he moved to S.N. College, Qadian, where he joined the Arts program more suited to his persona, though he left that too in the second year. Thereafter he joined a school at Baijnath, Himachal Pradesh to do a diploma in Civil Engineering, here again he left it in the middle. Next he studied for some time at Govt. Ripudaman College, Nabha.